Is there are specific dua for the beginning of the new Islamic Year? Is there are specific dua for the beginning of the new Islamic Year? People say that, at the beginning of the New Year the companions of the Prophet ﷺ used to recite a particular dua. Please verify! At the time of the Prophet ﷺ the Hijri calendar was not adopted, nor was it used at the Khilafa of Abu Bakr (r.a.). There was no such thing as New Islamic Year, as a year would be regarded as the passing of twelve months e.g. from Ramadhan to Ramadhan, from Shaban to Shaban etc. The year would be named by the event which occurred therein for example, the year of the elephant, the year of the migration from Makkah to Madinah (al-Hijrah), the year of the Battle of Badr, the year of Conquest of Makkah, the year of the death of the Prophet ﷺ etc. Thus it is clear that at the time of the Prophet ﷺ the first of Muharam was not regarded as the start of the New Year nor the last of Dhul Hijjah as being Old Year’s Day. At the sight of the new moon, the Prophet ﷺ used to supplicate: O Allah, let this moon appear on us with security and Iman; with safety and Islam. (O moon!) Your Rubb and mine is Allah. May this moon be bringing guidance and good).And such was the practice of the noble companions of the Prophet ﷺ. The companions of the Prophet ﷺ used to recite this dua when a New Year or month would commence: O Allah enter it (the New Year or month) upon us with Imaan and security, safety and Islam and pleasure from Ar-Rahmaan and refuge from the Shaytaan. (1) The wordings of the Hadith are similar to those Ahaadith which mention the dua upon sighting the new moon/Hilaal (new month). None of which makes mention of a dua upon sighting the crescent of Muharam or the commencement of the New Year. Moreover, the word Sanah (year) was not mentioned, rather the word Hilaal (crescent) was mentioned. Furthermore, these Ahaadith are sounder than the Hadith recorded by Imam at-Tabarani. Thus, the established Sunnah of the Prophet ﷺ is to recite the dua upon sighting the crescent of each new month including the commencement of month of Muharram. (2)In wording of the Hadith recorded by At-Tabarani, the Dhameer (pronoun) in the word أدخله comes in the masculine form which most likely refers to either Hilaal (cresent) or Shahr (month) and not Sanah (year). Therefore, it is possible that the word”أو” mentioned in ” السنة أو الشهر” denotes Shak (doubt). 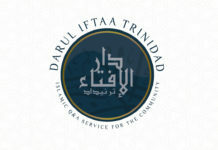 This being the case, there are numerous Ahaadith in which this dua (upon sighting the crescent) is mentioned withoutأو” ” (doubt) i.e it clearly states Hilaal (indicating to month). If however, the word “أو” in the Hadith does not denote Shak (doubt) but rather carries the meaning of ” و” which denotes Ataf (join/assimilate) the matter would still remain the same i.e. 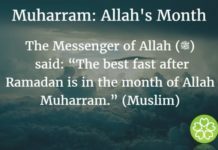 the dua is recited at the approach of each new month and subsequently, at the beginning of the New Islamic Year as Muharam is the first month in the Islamic Calendar. (3) Ibn As-Sunni (r.a) -هـ364, in his Amal al-Yawm Wal-Laylah, records a similar narration to the one in question without mentioning the word Sanah (year). Rather the words are; when the Prophet ﷺ used to see the crescent he would say O Allah enter it (the new month) upon us with Imaan and security, safety and Islam…………….. The companions of the Messenger of Allah ﷺ used to learn this dua just like they would learn the verses of the Quran whenever a new month or a new year enters: O Allah enter it (the new month and year) upon us with Imaan and security…….. This narration however, does not indicate towards a specific dua to be recited on the commencement of a new year rather the dua mentioned therein is general i.e. for each and every month not only the month of Murharam which commences the new year. كان إذا رأى الهلال قال: اللهم أدخله……. أي أطلعه علينا (i.e send forth it, reveal it, show it unto us). This clearly shows that the meaning in both narrations is the same. Therefore, it will be correct to conclude that the narration mentioned by At-Tabarani and Al-Asbahani is actually the dua for the sighting of the crescent transmitted figuratively in meaning. If such is the case then the more authentic dua for the sighting of the crescent will be the wording mentioned in the narrations transmitted using the literal wording (i.e. اللهم أهلّه علينا). (b) Second Implication: There is a specific dua for the sighting of the crescent (which begins with اللهم أهله علينا) and a specific one for the beginning of the month (اللهم أدخله علينا), either upon seeing the crescent or after completing thirty days. Except that such a view is unheard of from the Scholars of the past and is thus unacceptable. (6) It is an established fact that the Scholars of Islam, for the past centuries did not make mention of any specific dua to be recited upon the approach of the New Islamic Year or the month of Muharam in spite of the narration recorded by At-Tabarani (هـ360) and Al-Asbahani (هـ535). Perhaps they did not regard the narration or understood it be pertaining to the new crescent or month. In conclusion, there is no specific dua attributed the Prophet ﷺ nor his noble companions upon the commencement of the New Islamic Year. Whatever dua found in the books of Ahaadith are general to all months, including Muharam. وأنه لما هاجر النبي صلّى الله عليه وسلّم اتخذ المسلمون هجرته مبدأ التاريخ وتناسوا ما قبله وسموا كل سنة أتت عليهم باسم حادثة وقعت فيها كسنة الاذن. وسنة الأمر. وسنة الابتلاء وعلى هذا المنوال إلى خلافة عمر رضي الله تعالى عنه فسأله بعض الصحابة في ذلك وقال: هذا يطول وربما يقع في بعض السنين اختلاف وغلط فاختار رضي الله تعالى عنه عام الهجرة مبدأ من غير تسمية السنين بما وقع فيها فاستحسنت الصحابة رأيه في ذلك. وفي بعض شروح البخاري أن أبا موسى الأشعري كتب إليه إنه يأتينا من أمير المؤمنين كتب لا ندري بأيها نعمل، وقد قرأنا صكا محله شعبان فلم ندر أي الشعبانين الماضي أم الآتي. ضعوا للناس تاريخا يتعاملون عليه وتضبط أوقاتهم فذكروا له تاريخ اليهود فما ارتضاه والفرس فما ارتضاه فاستحسنوا الهجرة تاريخا انتهى.